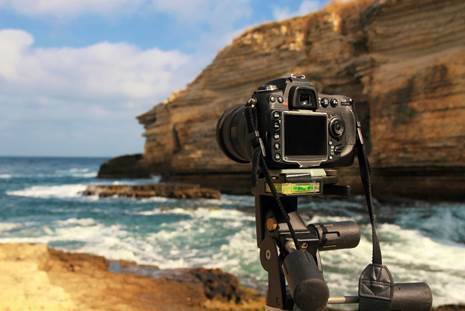 A travel camera tripod is an essential part of a photographer’s equipment list. Its primary function is to provide, solid, stable support to the camera, allowing the photographer to shoot with a much slower shutter speed than would normally be possible if the camera was handheld. Low Light – When the light is insufficient to provide a suitably high enough shutter speed. Depth of Field – When a photographer is using a deep depth of field i.e. a small aperture the shutter speed will subsequently be much lower. Macro – When shooting subjects up close it is necessary to stabilize the camera to minimize camera shake. Tripods are not ideally suited to traveling photographers, they often add substantial weight to luggage and are cumbersome and awkward to both carry and use. There are, however tripods that have been specifically designed for travel photographers combining both lightness and rigidity allowing the photographer the freedom to travel and carry his tripod for extended periods. Good quality travel tripods are generally sold in two separate parts, the legs and the head. Both of these parts can be further broken down into specific areas that should be considered carefully when purchasing a camera tripod. Lets take a more in depth look at what to look for in a travel tripod. The tripod legs are the first part of the equation. Depending on their cost they can be made of various materials. A travel photographer will be looking for three things, low weight, rigidity and the flexibility to move the legs into awkward positions and angles. 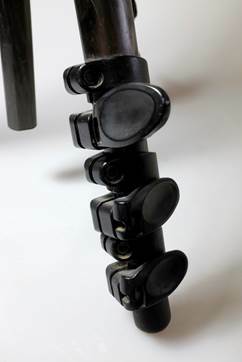 Plastic – The only redeeming features of plastic tripod legs are their price and that they will be light. They will however not be anywhere stable enough for a serious travel photographer and will be prone to breaking easily. Aluminum – This is the standard material for entry level serious tripods. 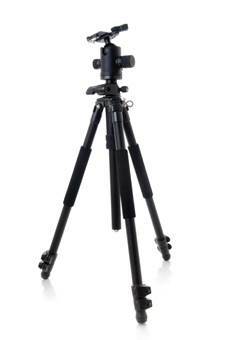 It is immensely strong and rigid however can be quite heavy, an important consideration if using a tripod for travel. Carbon Fiber – The new generation of carbon fiber tripod legs are probably the best option for a travel photographer, they combine remarkable lightness with excellent strength. They are however significantly more expensive than the equivalent aluminum legs. The next consideration is the number of leg sections and the leg locks. Most tripod legs will be three or four sections. Three-section tripod legs have the advantage of greater rigidity whilst a four-section tripod will often be more compact, an important consideration when traveling. Leg locks fall into two categories, twist locks and lever locks. What you choose here is purely personal preference. Next you need to look at two further aspects the maximum height of the tripod and center column and the maximum load. For a good travel tripod you need to look for a set of legs that will bring the center column up to a little below eye level allowing the camera to be at eye level once mounted on the travel camera tripod head. For the maximum load weight consider the weight of your camera with the largest lens that you own. For most travel photographers a good aluminum or carbon fiber tripod should exceed your equipment weight unless you are shooting medium format. Lets look at some typical specifications for a good tripod legs. As we mentioned, the legs are the first part of the equation, the second part is the tripod head. A travel photographer is looking for a head that will again be lightweight, give good fluid movement over a large range of angles and provide a solid lock to the camera. Lets look in detail at head options for travel photographers. The head component of a travel camera tripod should be as well researched as the legs. Again, as with many things, you get what you pay for and when budgeting for a tripod make sure to allocate 25-30% of the budget to a head. Lets have a look at the options available. When buying a head there are some features that you should look for that can make life easier for a travel photographer. Firstly is a quick release plate. 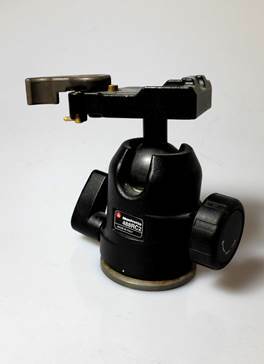 This allows you to quickly mount and remove the camera from the tripod allowing you more freedom in your shots. If you shoot with two cameras you can use a plate on each. Secondly a built in spirit level is also an extremely useful aid, especially for photographing landscapes and architecture on trips. It allows you to confirm that the camera is level in both the horizontal and vertical plane. Although not an exclusive list the following are some of the best regarded tripod manufacturers. All have tripods in their ranges that are suitable for travel photographers. 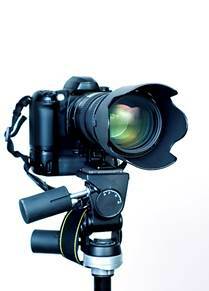 Manfrotto – Produce good quality tripods for reasonable prices. They have a wide range of carbon fibrer legs as well as a huge selection of heads. 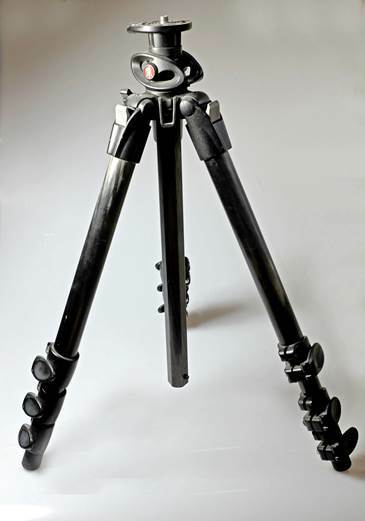 Gitzo – Many professionals include a Gitzo tripod amongst their kit. They have an excellent reputation for quality but they are not for the budget minded. Benro – A fairly new kid on the block, they are a Chinese company whose reputation for quality on a budget is increasing. Really Right Stuff – Another up and coming company, Really Right Stuff tripods are designed and built in the US and have a loyal following amongst professionals. Slik – This Japanese company has some very cheap level tripods that are not ideal for travel, however their mid to high range tripods and heads are excellent quality. In summary, when researching the purchase of a travel camera tripod, the key elements to look for are size and weight, it needs to be small enough to put in an overhead locker and light enough to be considered for hand baggage. It needs to be rigid, and here despite the extra cost, a carbon fiber tripod will truly come into it’s own and you need to have a good quality head, one that again is not too heavy but gives great fluidity as well as stability.